Happy Thursday! This morning was the start to a busy day where Nixon and I hopped in the car with Tyson to take him to the train station for work and then off to run some errands! We have been doing a lot of traveling this month and have one more trip we will be leaving on tomorrow! We will be heading down to southern California where I grew up to spend Memorial Day weekend and to attend my little sister's wedding open house! I wanted to jump on here today so I can tell you about this new convertable carseat we have been using for Nixon that is a game changer. We had been using a different brand in the past but I didn't love how hard it was to get the carseat stable and secure. This new carseat we have been using is called the Cybex Sirona M with Sensorsafe 2.0. 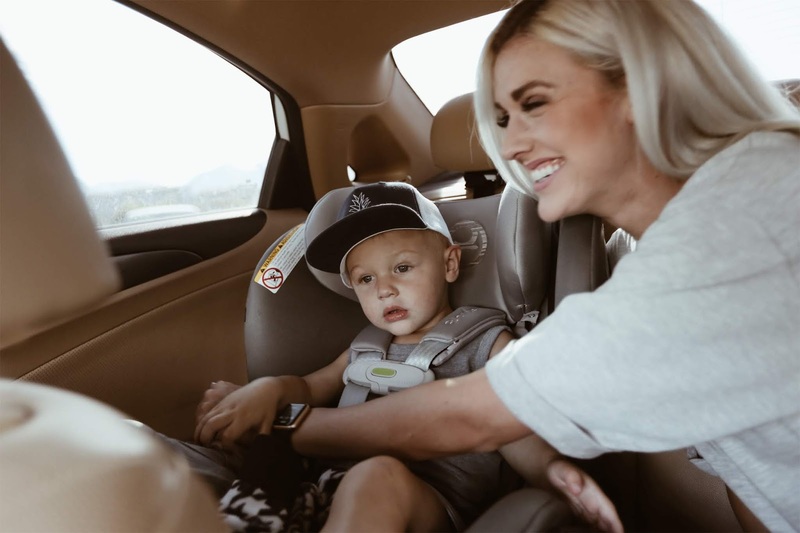 What is amazing about this carseat is that it has integrated important safety technology into the chest clip of the carseat so that you will be alerted when unsafe situations arise. 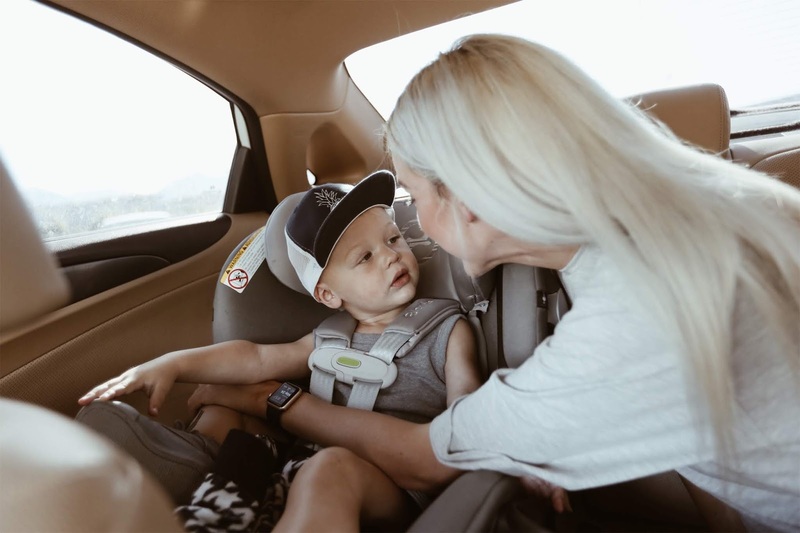 This means that if your child were to unbuckle themselves, or if you were to accidentally leave your child alone in the car, the essential alert will go off through both the vehicle receiver and the caregiver's cellphone. There is an app to download but you do not have to have the app to receive alerts. I love how this technology lets you leave all your worries at the door when heading out on the start to a busy day! 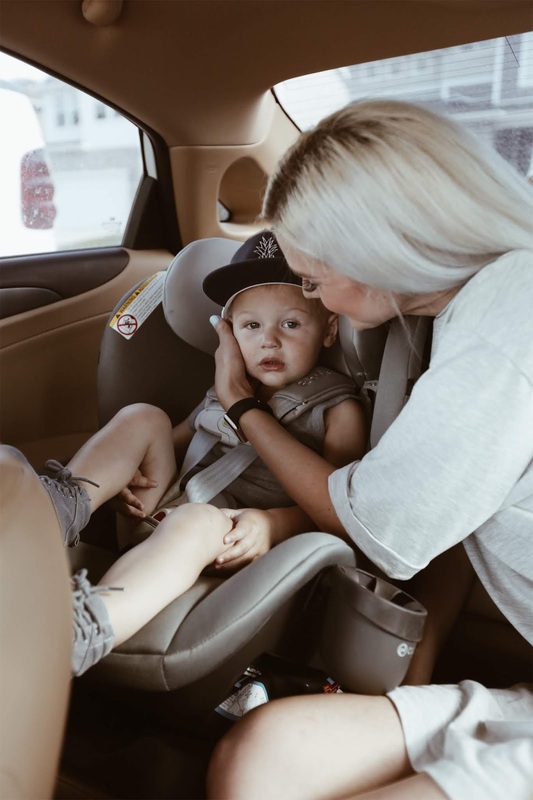 Honestly, this is a must have carseat that I have loved for Nixon and feel that he is the most safe in. 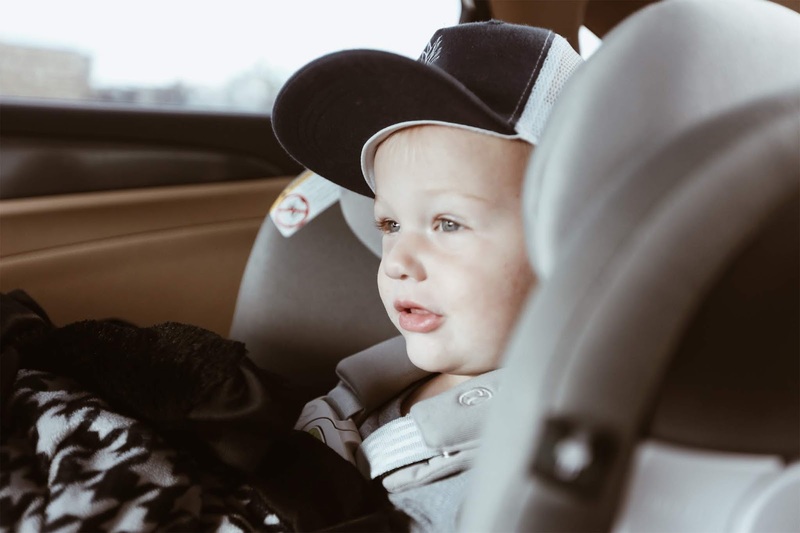 It locks into the car with a base already installed that allows the carseat to be completely stable with no rocking movement at every turn or bump. Any extra safety features are always a huge plus when it comes to protecting your littles lives! I hope you enjoy this Cybex Sirona M carseat as much as we do! !